It’s me! It’s me!It’s Junie B.!Ha! That was a happy rhyme by me!And here is another happy thing: This is boxed-set number three!It has four of my funniest books inside! (Their names are books 9—12 I believe.) Ihope you like them!Books in this set include:Junie B. Jones Is Not a Crook (#9)Junie B. Jones Is a Party Animal (#10)Junie B. Jones Is a Beauty Shop Guy (#11)Junie B. Jones Smells Something. 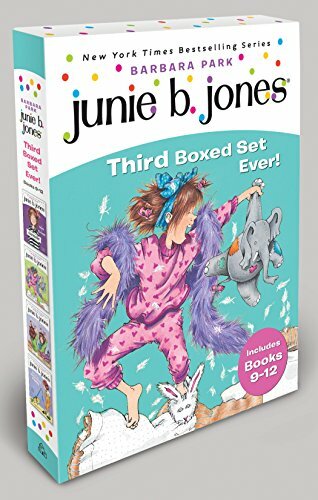 Junie B. Jones’s Third Boxed Set Ever!